Whether you are a lucky local living in the Margaret River Region, or one of the many visitors to holiday in this little pocket of paradise this is your chance to indulge with some of the freshest local produce featured on Aravina's Summer menu. Plenty of options are gluten and dairy free with a range of different international influences found throughout the menu. Take a trip to Mediterranean climes and enjoy dishes such as Seared Atlantic Salmon, marinated courgettes, kipfler potato and salsa verde or Orecchiette, broccoli, sunflower seed pesto, house ricotta and lemon. Asian influences can be seen in dishes such as our Vietnamese Poached Chicken Salad, pink grapefruit, aromatic herbs, fresh coconut dressing and crispy rice or Roasted pork belly, Thai style green mango salsa, cucumber, nam jim and peanuts. 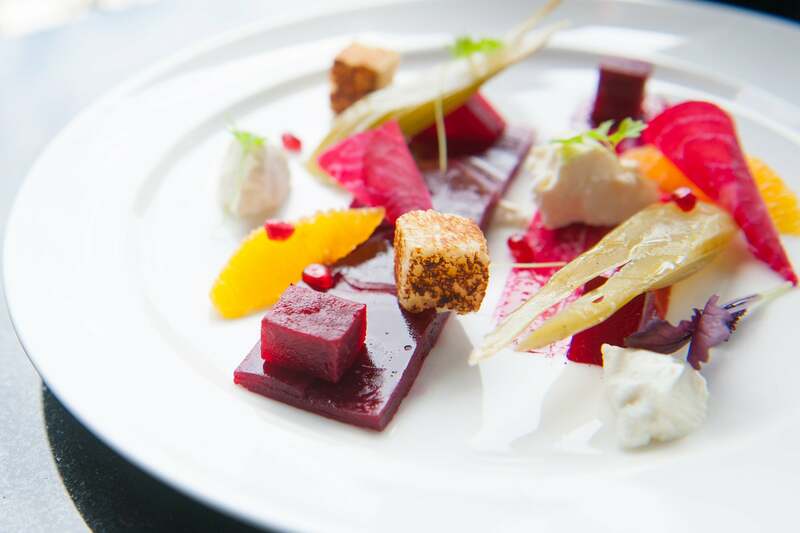 And of course to finish off the meal, those with a sweet tooth will delight in dishes such as a Mango and lemongrass parfait, whipped yoghurt and freeze dried fruit salad.